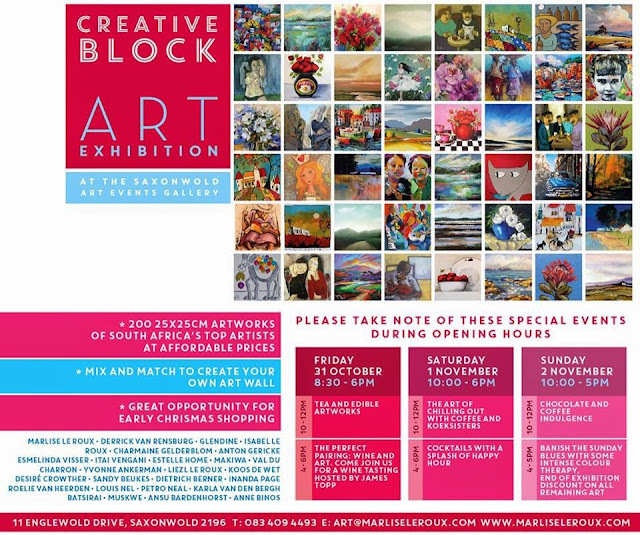 I am very excited to announce that I am taking part in the Marlise Le Roux Saxonwold Art Events Gallery Creative Art Block Exhibition in Johannesburg at the end of this month. I am doing 4 pieces for this event. For more info, please contact artist and owner, Marlise Le Roux.